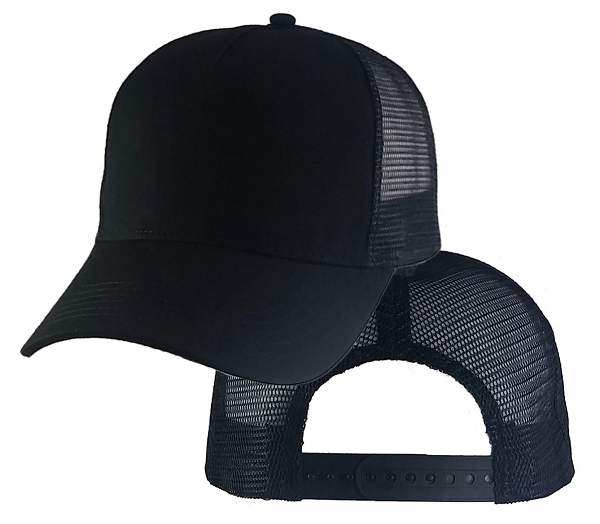 If you want the look of a black cap, without the heat, try the Big Size Black Mesh Cap. Adjustable Plastic Snap Closure, Fits Size 7¾ to 8¾. The hat I've been waiting for! I have looked for a comfortable hat for years and I have finally found it. Really well built. Has a very modern look, not like grandpa on the farm old school "trucker hat" couldn't be happier. 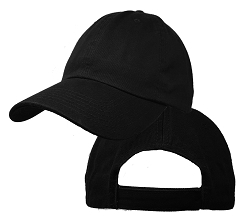 Cap is good quality & fits perfect. Really good quality. It is big but not that much deeper than I thought. Unfortunately my head is long and wide. I'm 95% satisfied. I have been buying these hats for at least 15 years. I work in law enforcement and sew the department patch to these myself and they look and fit my large head perfectly. I should mention that I wear a hat to work every single day as part of my uniform. They get a lot of use and sun exposure and hold up perfectly. They can be washed and still look great, I usually buy a new one every year due to sweat and sun wear and tear. I have tried every other large hat you can find on the internet and these are by fart the best. The mesh is the only hat I wear as i would sweat profusely with heavier material. The bend nicely in the front if you want and look great because they cover the whole head right down to the top of the ear, looks sharp.